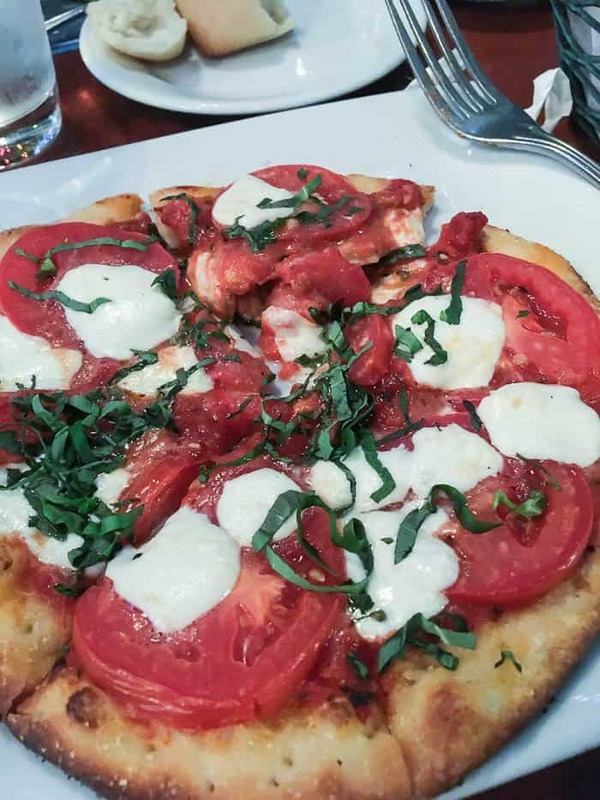 This Mama Melrose dinner review is based on my experience when visiting the restaurant in November 2017 with my family. Mama Melrose Ristorante Italiano is tucked in the back of the Muppet Courtyard in the Grand Avenue section of Disney’s Hollywood Studios. They are open for lunch and dinner and serve American and Italian dishes in a casual atmosphere. The do accept some Disney Dining Plans. I apologize for the quality of the photos. The restaurant is dim and we did not want to disturb other diners by using the flash on the camera. This was basically an individual sized Margherita Pizza! Had I known it was going to be such a large serving, I wouldn’t have ordered it. Not that it wasn’t good, it was. It was just too much for me. This is the appetizer I should have went with, since it wouldn’t have been as filling. It’s so simple, but always a fresh and delicious choice. 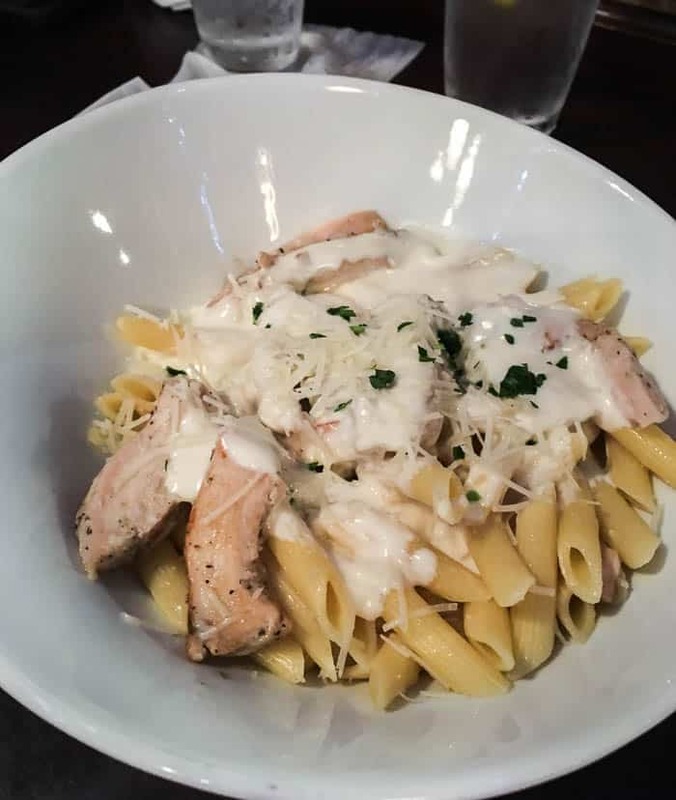 My 10-year-old son, Jaxon, ordered the Wood-grilled Chicken and Penne Pasta. 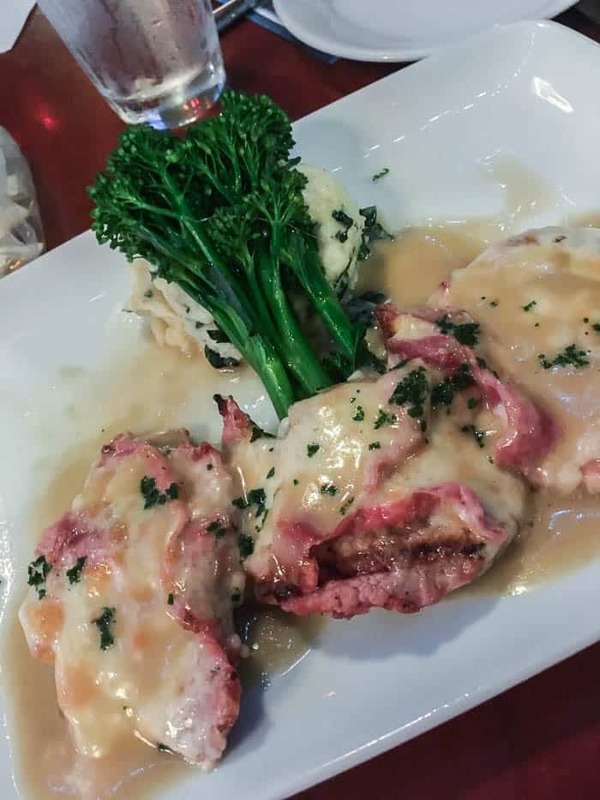 It comes topped with a Four-Cheese Sauce and additional Pecorino Romano cheese. He wasn’t very hungry, but ate quite a bit because he enjoyed it so much! I had a hard time choosing, but was very happy I decided on the Saltimbuca! It’s a piece of pork tenderloin topped with prosciutto, sage, fontina cheese, and a lemon-caper sauce. It was served with mashed potatoes and broccolini. This meal was one of my favorites from our entire trip! My fiance, Daryl, ordered the Seafood Cioppino. 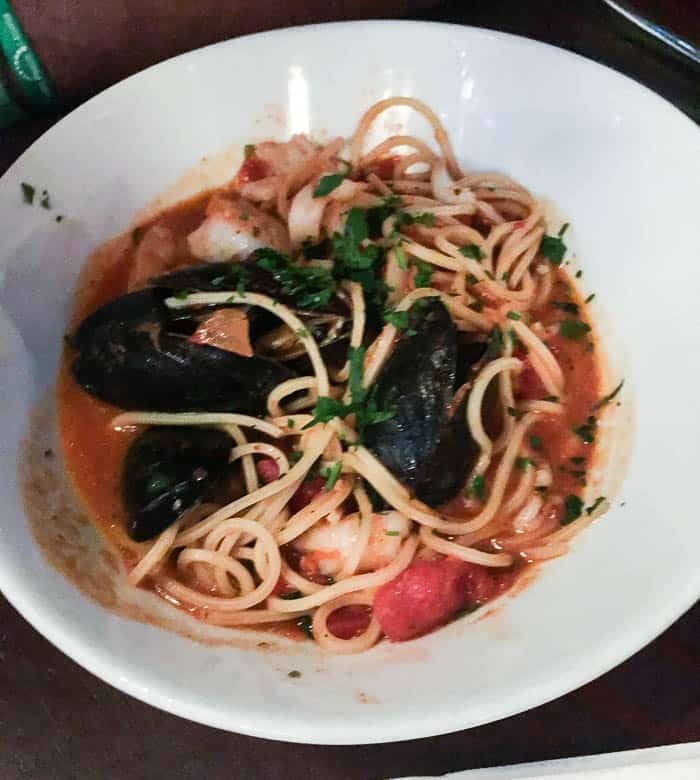 It’s spaghetti, shrimp, mussels, calamari, and fish, tossed with spicy Cioppino Sauce. As usual, he cleaned his bowl. 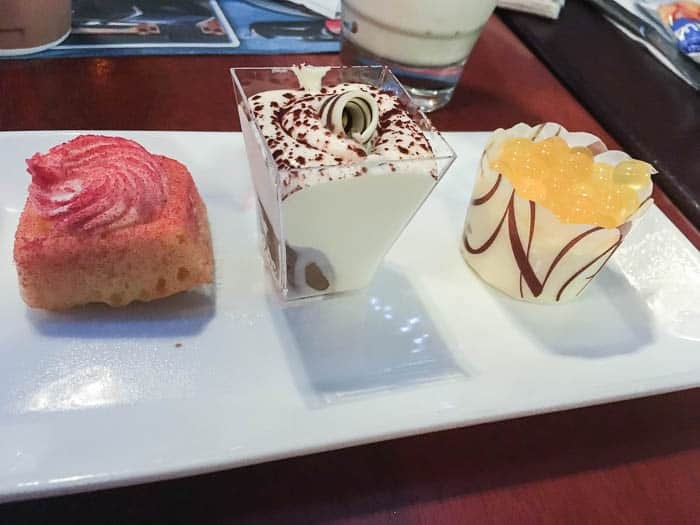 The dessert sampler came with mini versions of the Valencia Blood Orange Cake, Lemon Cheesecake topped with Passion Fruit Pearls, and Tiramisù. I am never one to choose fruit-flavored desserts, but I am starting to realize what I’m missing out on! The Valencia Blood Orange Cake was my favorite of the three, but they were all really delicious! Daryl ordered the gelato – his go-to dessert the majority of our trip! Jaxon was too full for dessert, so we took an additional tiramisù to go! We really enjoyed our dinner at Mama Melrose! Because the menus are always changing, I can’t guarantee the same selections will all be available as in this Mama Melrose Dinner Review. 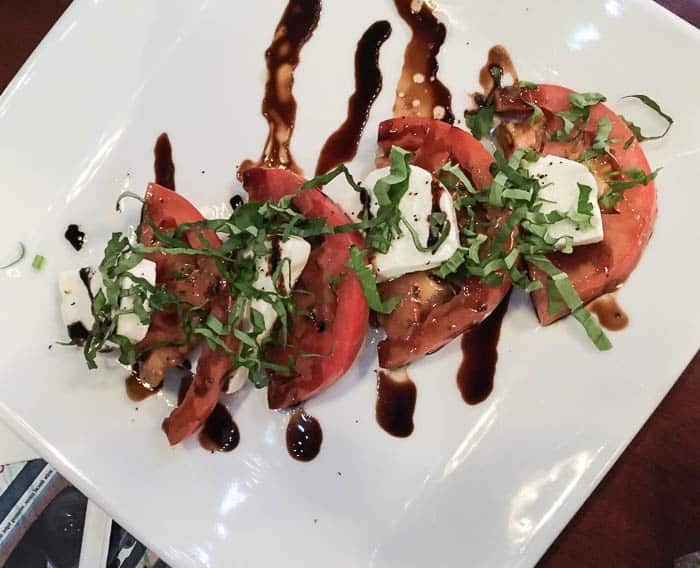 To see the current menu and prices, click here!